Fill your Ziploc bags with gummy worms and seal. Print one of the templates provided here onto the cardstock. If you do not have a printer, draw a similar design onto the cardstock for extra sentimental value! Cut out the templates, fold in half, and attach to the bags using the stapler. 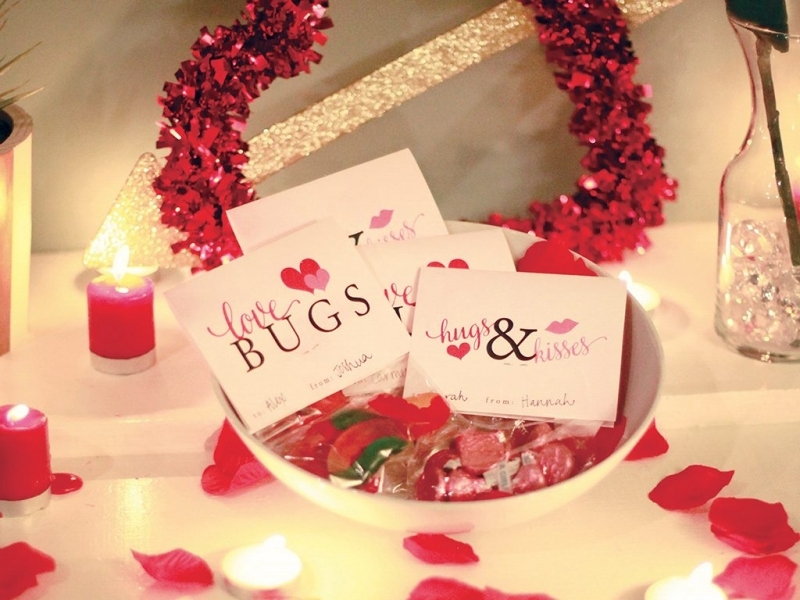 For this tutorial, we used our Love Bugs template. You may use a different template of ours and switch out your treats accordingly. Good luck!